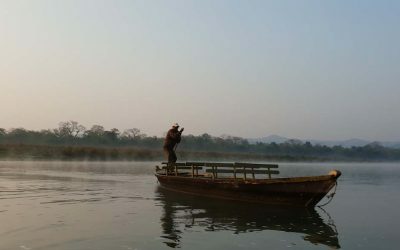 Travelling is a complex little activity that we do. There’s so many turning wheels, clunky clogs and generally things that can go oh so terribly wrong. Even the humble road trip can turn into an overwhelming disaster. 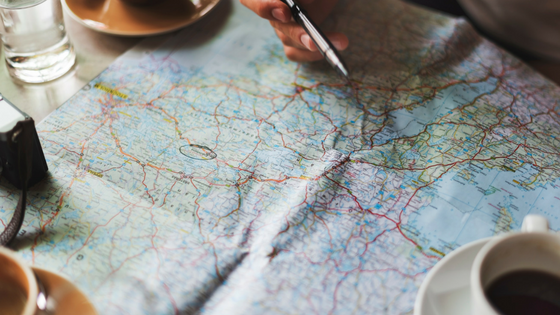 It really is no wonder that so many travellers report feeling high levels of anxiety when they are preparing for a trip. 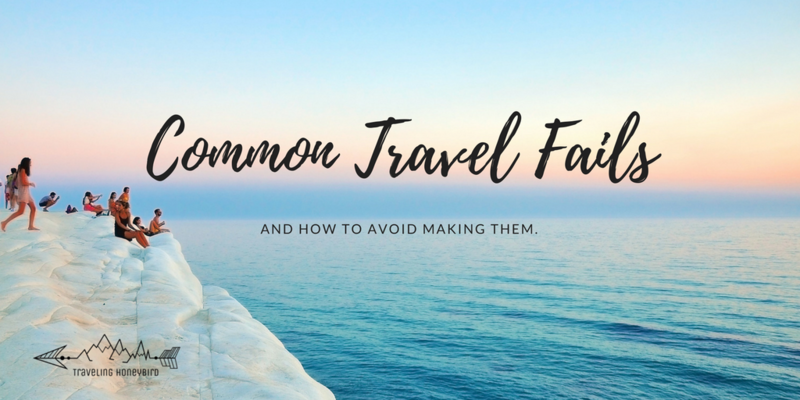 A little bit of preparation can stop you from making these common travel fails. The below examples are true stories. I almost ended up calling this section – confessions of an airport worker. Maybe one day I’ll write that for y’all. As someone who spends far too much time in airports and talking to random people, it’s amazing how often the following scenarios come up. From a wide variety of people representing a unique cross selection of the community. Really what I’m saying is that everyone has the ability to stuff up their own trip. No matter how well seasoned a traveller that you think you are. Is your passport valid? Ok now ask yourself is my passport valid for the country I am travelling to? Supposedly it’s common knowledge that the majority of countries in the world require you to have 6 months validity from the date of departure. Now note that last part – date of departure. This means the date that you will leave the country. Not the date that you are leaving your home country. On a weekly basis, I come across people who are drowning their sorrows because an airline won’t let them board with a passport that has less than 6 months before expiring. Solution– Renew your passport 12months before it’s due to expire. 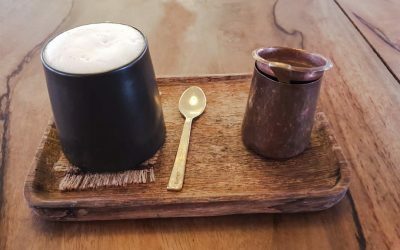 It’s a hassle and a huge expense but so much nicer than sitting in an airport pub crying because you can’t board your flight to Bali. Congratulations on your new found status as a wife. Now not to be gender bias here but generally speaking newly wedded wives get very excited about their promotion in life to Wife and like to gush and blush over the new ring and new found husband. Which is all fine and dandy until you book your tickets in your married name. Without having yet changed your details in your passport. That’s a no-go and many airlines now won’t check you in. Even if you present at the counter with your wedding certificate. Solution – book in your maiden name. It’s ok no one will judge you and they’ll still listen to you ramble on about how great your wedding was and how drunk cousin Betty got. The story always starts off with you and a third party booking site. A deal that sounded too good to be true. So you whip out the credit card and book away. Months, weeks go by and you get ready to go on your holiday. You arrive at the airport ready to roll. Oh but you’ve missed your flight as it left an hour early. The airline advised the client (which by the way isn’t you. It’s that dodgy donkey website you bought your dream holiday through) who accepted the change of flight time and haven’t bothered to tell you. Now the airline has nothing to offer you. They have done their part to the letter of the law. You try to contact the third party booking site to no avail. 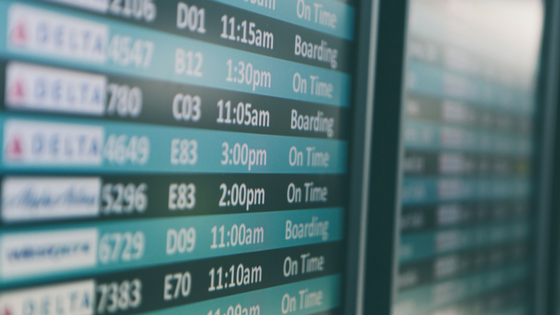 It’s your responsibility to check flight details before departure. If you’re lucky the company will help you rebook a flight or offer a refund. That’s if the company has a customer service team that’s actually available to help. Solution – book directly with an airline or travel agent. There are some great deals out there to be taken advantage of. Just don’t let yourself be taken advantage of. Now as long as it’s not a child that you are responsible for the likelihood of you leaving something behind is rather high. Who can ever forget that time I forgot to pack a bra on my way to the Philippines? Thankfully a horrid Qantas experience saw me have an unplanned stop over in Singapore Airport and Uniqlo was open until midnight. $30 later and I had a new bra in hand. Crisis averted. Most major airports will have the basic life necessities. So don’t stress if you’ve forgotten something behind. Yes you’ll pay a premium but ah well. Such is life. Solution – Don’t leave things behind? Ain’t no body got time for sunburn. It’s a painful experience and one that can be totally avoided. Being a beach babe and living the mermaid dream is all an achievable life goal. But seriously slip-slop slap on that sunscreen. You’ll still come back with a nice golden tan and less likely get skin cancer. Win win? The bus doesn’t turn up. The taxi driver gets lost. The traffic is abhorrent. You’re hung over, slept in and forgot that you needed to be at the airport three hours ago. There are so many great reasons as to why you missed your flight. A good story doesn’t help you though. The plane still leaves without you on board. So what do you do? First steps – Call the airline! As soon as you know that you are going to miss your flight, you should immediately call the airline, and I’d certainly recommend doing so before the flight departs. Tell them that you are on the way to the airport, but that you’re delayed due to factors outside of your control. What if it’s really not your fault? 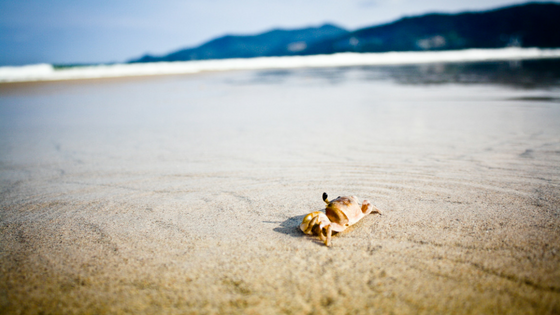 Your travel insurance may cover any costs of onward travel. Because you’re a smart traveller and have purchased insurance. You will need supporting evidence of whatever it was that caused you to miss your flight – a receipt for roadside assistance for your car or confirmation of a delay from a public transport company. Some airlines have a little unknown area of compassion allowing you to rebook the next available flight or to take the risk with a sandby ticket. There are usually fees associated but it really doesn’t hurt to ask. The general rule seems to be if you are at the airport within two hours of your missed flight. 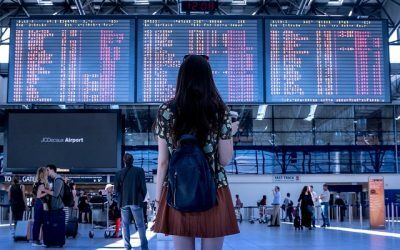 In any event, make sure your airline knows that you might have made contingency plans just in case it doesn’t automatically cancel your return flight. The above are just a sample of the sad stories I hear on a regular basis. With the majority of these issues being avoidable. Don’t forget that real travellers buy travel insurance. 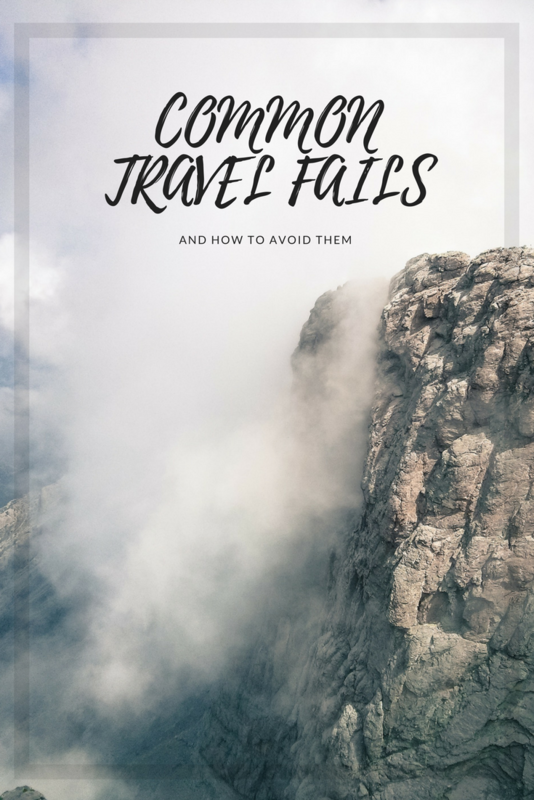 For all those uncommon travel fails that are beyond your control. Have you made a silly travel mistake? Let us know in the comments below. Oh my gosh, I have definitely forgotten to pack important things like underwear. Some great tips on how to avoid these fails here. I knew about the 6 months left on your passport rule but it had never occurred to me that it was for the date of departure from the country you are travelling too. I actually filled up my passport with stamps so had to renew my passport early due to an up and coming trip to India, however armed with a 50 page passport I could now quite easily get caught out with that one. I actually didn’t know about the 6 month departure passport tip, going to go check my passport once I get home. I think I have a few years left, but better safe than sorry. 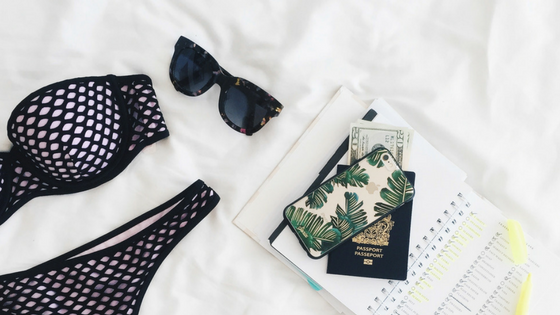 When a travel deal is too good to be true, it most likely is! Always have to be careful booking with third party companies. Thanks for this super informative post! There are some interesting travel mistakes here, i didn’t know about some of them. The passport expiring I wasn’t aware it was the return date for the 6 months. I didn’t know about checking in with your new married name, I’ll remember that one for when I find a wife. Sunscreen is a good tip too, I’ve seen so many people who forget to use it and end up looking like tomatoes! Actually the first thing I did was checking the expire date of my passport, LOL. Would be so bad while being abroad. Often I book trips to places during rainy season to save money – sometimes it is not just raining non-stop, everything is closed too, bummer. I loved this post! I experienced number one before and I was so upset with myself. Never again will I forget to check if my passport is valid! Have I come across a number of these fails or what. Two of my favourites are; A fellow college student in Germany who decided that he can travel across the whole of Europe without carrying his passport because his Uni ID said he was American. Yup, he got turned back from the first border check. And as for sunburn, although I personally get a nasty het rash whenever i’m out in the sun, once in Greece I saw this couple come from from the hills and lets just say that from afar it looked like two red lights were walking down the road. Knock on wood, none of these has (yet) happened to me. It’s hard to believe though the number of people that deliberately do not purchase travel insurance so that they ‘save’ money! True that mostly nothing happens but I have just never wanted to take that chance. Your list made me laugh because at some point or another, I’ve had a friend go through each and every one of these situations. My favorite had to be my friend who thought that she could just show up at the airport 15 minutes before her flight. I’m not sure what was going through her head, but it made life a little stressful for a while! Oh no! Sorry but that did make me laugh. LOL! What a GREAT post!! Oh, haven’t we all been there at some point or another. Just last trip I used booking com for the first – and last time, and didn’t read the itty bitty teeny tiny fine print and ended up with a room for 4 – which I intended. I booked a room for 3 adults and 1 child (the kids are 11 and 13 and the 13 year old is considered an adult) and when we got there we had a room for 3 adults and 1 child except to them…..this = 3 beds. AND those beds were wall to wall in the room so there wasn’t even room for an extra cot if they had such a thing. So…my 11 year old and I squeezed into a twin bed for the night. Turns out that ‘child’ sleeps in the bed with them….and deep in the reservation in the tiniest of print somewhere they said it told me that. um….ok – thankfully that was only one night!